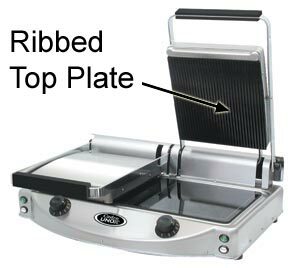 The key words used to describe these superbly designed grills are FAST, EASY, and SAFE. 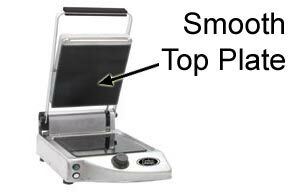 The patented heating filament allows them to reach higher temperatures faster. The easy to clean, carbon-resistant plates are available in both smooth and ribbed surfaces. The special safety design keeps the exterior at 150° F while the cooking surface is 700° F. Adjustable thermostat to 700° F.